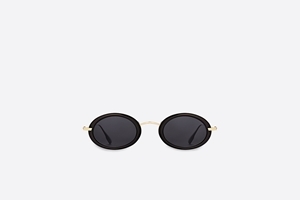 The Dior Hypnotic2 2M2 2K 47 is a contemporary style with oval black acetate fronts and contrasting light gold sides. The contrasting feel of the look takes stock from the latest collection. The Dior HYPNOTIC2 sunglasses are covered by the 12 month no quibble sendoptics guarantee.